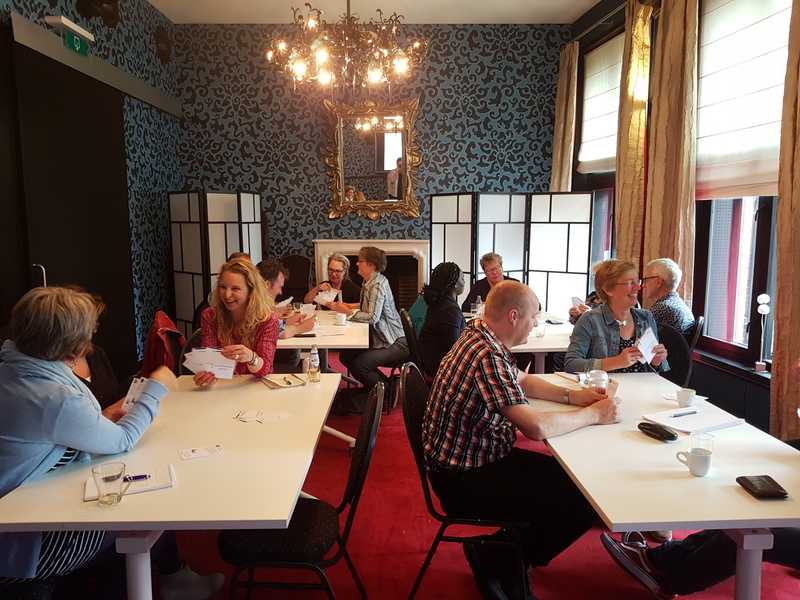 On May 17th, Pauline Bollen and Marijke Gordijn from Chrono@Work organized an interactive workshop for a group of 15 social workers of academic institutes in the Netherlands. The assignment was clear: inform us on possible sleep problems we may encounter in our office and how to proceed if we recognize some. The 3h-workshop consisted of 2 lectures and 2 interactive sessions. In the lectures, normal sleep regulation and an overview of sleep disorders was presented as well as practical sleep tips for sleep problems. Although it is obviously not possible to make somnologists of participants in 3 hours, the participants were taught the basic differences between sleep problems and some sleep disorders and in what cases they might start with sleep hygiene advice or when to refer to a specialist. In addition, the basic principles of evaluating daily sleep problems and behavioural therapy as a treatment, as well as the roles of darkness, light and melatonin to treat sleep-wake rhythm disorders was explained. The theoretical information was practiced by playing the card game Quartets of sleep disorders and by Dominoes of sleep tips, both developed by Chrono@Work. The sessions were highly appreciated.